KNEIPP Way is one of the most popular SPA treatments in Wellness Centers. 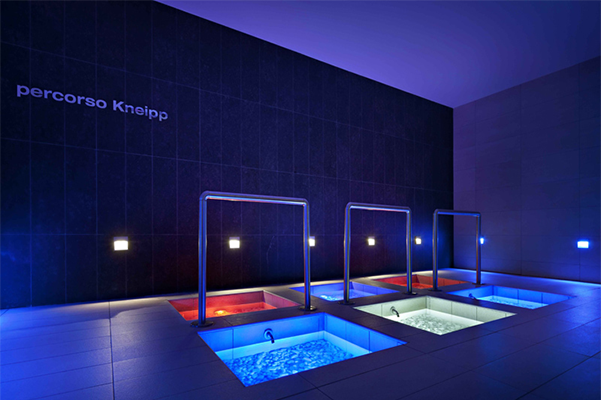 KNEIPP treatment, nowadays, is based on hydrotherapy, which uses the healing power of water to give good health to our body. Usually, it replaces short baths with hot and cold water. The most common type of KNEIPP therapy consists of walking through the river stone paths, alternating hot and cold water. 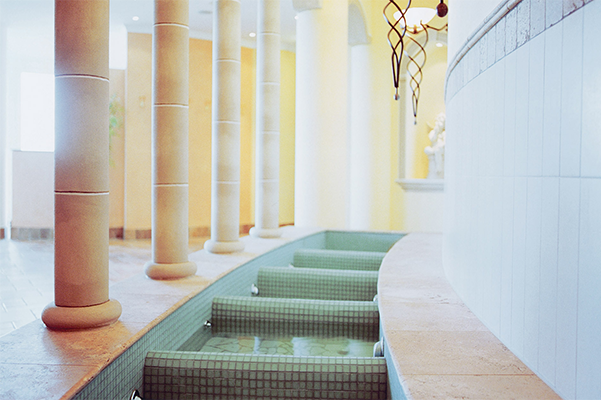 Depending on the way provided by the Spa facilities, water can reach the feet or knees. 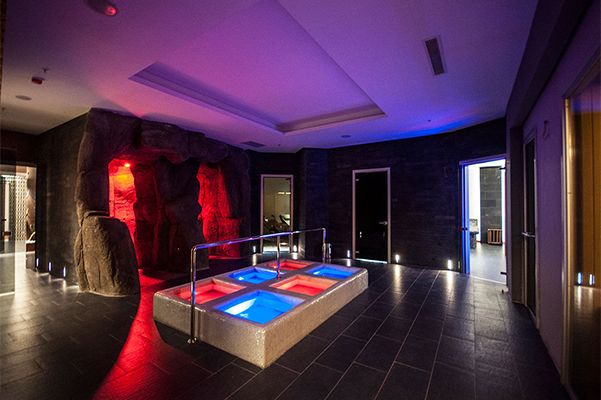 The KNEIPP path in general is not limited by a simple walk between the water and the pebble but in a real hydrotherapy treatment in which the alternation of hot and cold water is studied perfectly according to the well studied curative principles. Usually, it starts with hot water to continue with a difference between the average temperatures and then it finishes with cold water. Thermal shock, caused by diving at different temperatures, stimulates the circulatory system and the immune system. Diving in hot water creates a sense of relaxation. Contact with cold water stimulates and empowers the body. Walking at the end of the cobblestone and thermal outflow it has a tonic action on the walls of the capillaries. In addition, guaranteed water massage – also known as a whirlpool – has drainage properties and therefore it has a beneficial effect on the body in case of water retention. 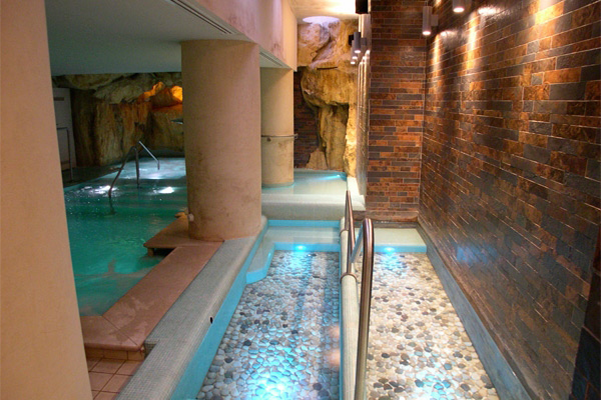 KNEIPP passage is especially recommended for those who suffer from circulatory disorders. Depending on the scenario in which the path is paved, treatment can also act positively on emotions, giving a sense of deep tranquility and inner well-being. 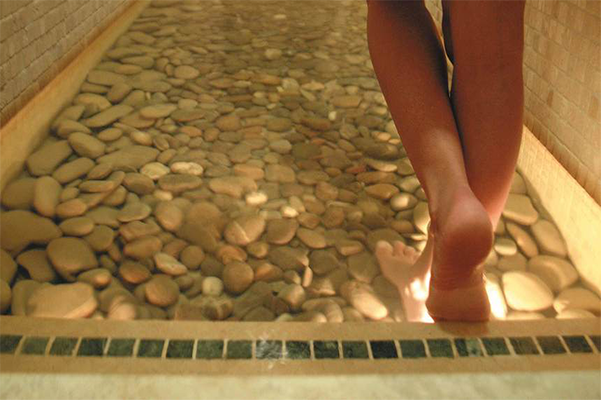 HAVING A KNEIPP PATH IN HOTELS & RESORTS, IT RAISES THE VALUES OF YOUR SPACE.